Backyard Chicken Coops, formerly GK Trade specialise in chicken coops. 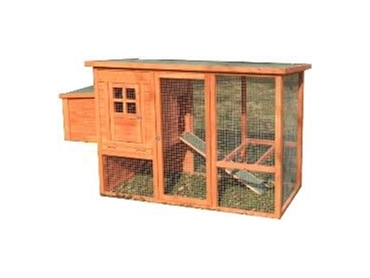 These chicken coops are also ideal for guinea pigs, ferrets and rabbits. They are extremely versatile and ideal for pets. These chicken coops are a solid construction and great design and only take 20 minutes to construct (instructions included). The features of these chicken coops include nesting box for the chicken to lay eggs, removable cleaning tray and locks to keep the chickens secure. Also these chicken coops feature hinged asphaltum roofs which allow easy access to the chicken coops and also keeps the chickens warm in the winter. Backyard chicken coops can house up to five chickens.